Calgary’s very own, Defunk has landed on the Shambhala Music Festival roster for three years and for good reason. He experimentally crosses boundaries between genres, fusing elements of jazz, funk, soul, and blues with heavy bass into a delicious, danceable blend that can only be described as funky bass music. 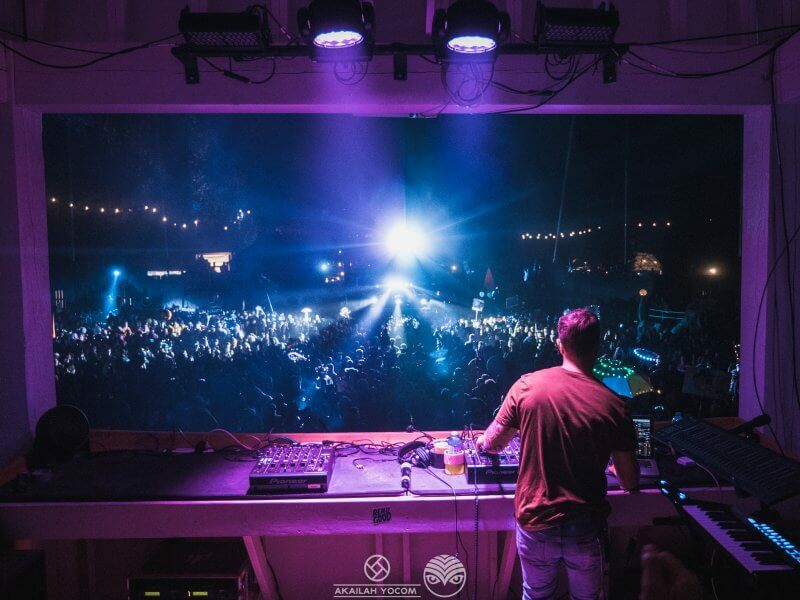 His funky rhythms, dirty drops, and jazzy solos make him a Shambhala fave to get down to on the forest floor. 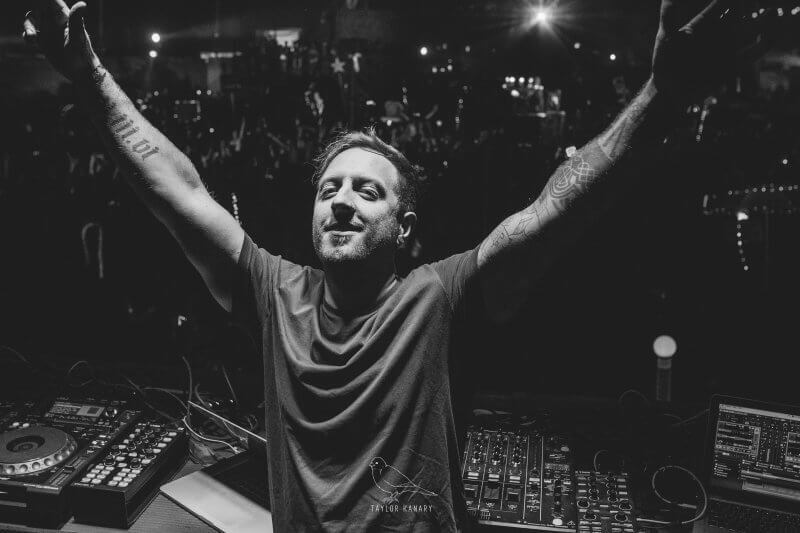 Check out this interview at The 21st Annual Shambhala Music Festival and find out his best Shambhala moments, his favourite non EDM song and his take on sub genres. What were your highlights from the festival this year? Playing to an absolutely packed stage out the gates at the Pagoda this year is pretty damn hard to beat. Being able to catch a lot of my friends and their sets throughout the weekend was really nice. Sunday night was my personal favorite because my job was finally done and I was able to let loose and really take it all in. What part has Shambhala Music Festival played in your journey as an artist? This is my 8th year attending and 3rd year officially on the lineup. It’s been monumental to my career. I’ve met so many amazing friends and artists through my years at the festival, and it’s definitely been a huge factor in inspiring my sound and style. I owe most of what I do to the countless performances I’ve seen at Shambhala. What is your favourite stage? Every stage really has something amazing to offer, so it’s incredibly hard to choose just one. The Village always has amazing heavy hitters and its fair share of drum and bass, so I find myself there often. I’ve spent lots of time smiling and wiggling in the Fractal Forest, and I’ve spent plenty of time getting my bass face on at the Amphitheater or feeling euphoric and tranquil at The Grove. The Pagoda feels like the big spectacle stage where your jaw just hits the floor and you just want to stand there and take it all in. They tore down the stage last year and completely rebuilt it bigger and better. I think it’s incredibly dialed in and truly breathtaking. 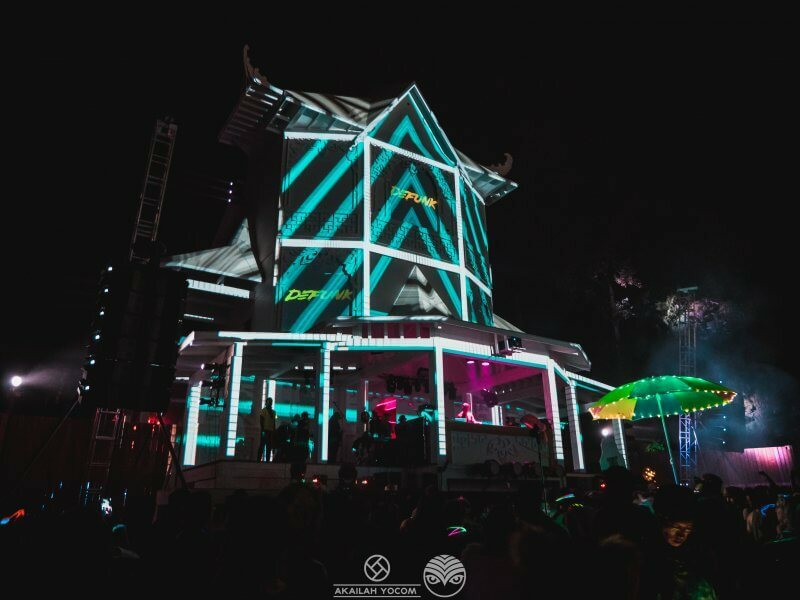 How does Shambhala compare to other festivals that you’ve played at? It’s smaller in size than a lot of the large scale festivals you experience down in the states, but it’s among the best. The permanent stages offer a sense of familiarity and comfort coming back each year. The largely Canadian crowd really showcases that stereotypical kindness we are known for, and the absence of alcohol also really plays a part in removing some of the more aggressive, edgy behavior you might see at large gatherings. The music is mostly electronic and dj performances, but Shambhala always seems to have some of the best lineups around. Shambhala looks forward to more good times dancing with Defunk. Listen to his #Shambhala2018 mix here!